HARARE City Council housing committee chair Hammy Madzingira Tuesday urged the capacitation of the city’s vocational training centres through the use of beer levy and any other funding methods. He was officiating at the VTC/Chinembiri graduation ceremony for some 85 students who had undergone training in interior decoration, cutting and dressmaking, catering, baking and icing, carpentry and joinery, welding and leather work. “The VTC will require capitalisation in terms of machinery and equipment in order to facilitate the smooth running of production units. “This will enable the city to generate more income and at the same time preparing the students to fit into the current dynamic industry,” Madzingira said. 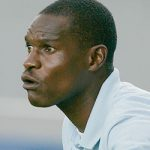 In a separate interview with Newzimbabwe.com, Madzingira said before the city could think of decentralising its training centres, it must first develop and equip the ones in existence, that is Mbare, Budiriro and Chinembiri. He said that back in the day, the city used its beer levy to finance its VTCs. However, a financial scandal rocked the project 2016, leading to its suspension following funds misuse by corrupt individuals. Madzingira urged the prompt use of an amount of $300 000 that has been set aside for the project for fear the allocation may end up losing value and failing to purchase the desired equipment. To further empower those who have gone through training, Madzingira also urged council to grant them some contracts in areas to do with the manufacture window frames for schools being built and also supplying uniforms and books and others to schools owned by council. 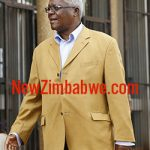 NewZimbabwe.com – The Zimbabwe News You Trust is Zimbabwe’s leading online newspaper and published by New Zimbabwe Media Ltd. The platform brings you the latest breaking News, Business, Showbiz, Sports, Diaspora and gives you everything you’ve come to expect and love. Our Forums are vibrant and gives everyone a chance to be heard. 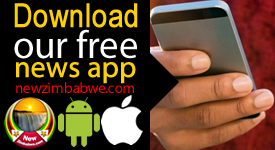 On your computer, tablet smart phone or on our App its quick, easy and free access all the news you love. NewZimbabwe.com is updated continually with the latest news to help you feed your addiction with stories & photos from Zimbabwe and many more!